This construction video tutorial will provide detailed guidelines which are useful for creating the design of a straight stair in a building. Here, the height of a sample wall is taken as 10 feet. Besides, the height of the each riser is taken as 7 inches and length of the each tread is taken as 11 inch. 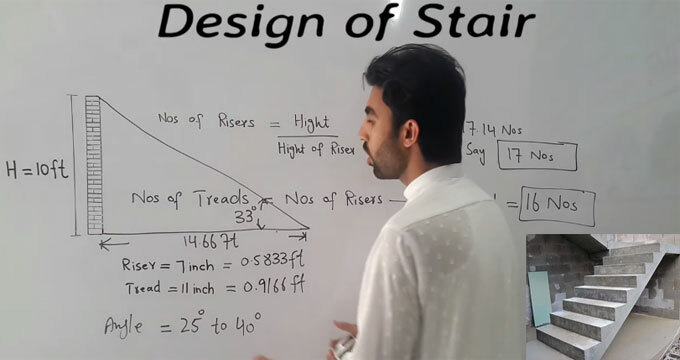 Now, in order to find out the total length of the staircase, go through the following video.